At the 2018 Consumer Electronics Show, when John Atkinson and I entered the room shared by Lamm Industries, Aqua Acoustic Quality, and Kharma room, we were looking for two things: good sound, and digital products for me to review. 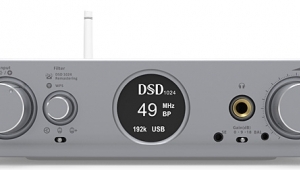 When we spied AAQ's Formula xHD digital-to-analog converter, the possibility of evaluating a potentially excellent DAC made by someone other than the usual suspects felt like a golden opportunity. There were two mitigating factors. 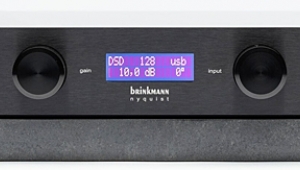 First, I usually don't use a preamplifier with either of my reference DACs, dCS's Rossini ($23,999) and Vivaldi ($35,999). Instead, I try to keep things simple, and use the dCS DACs' onboard volume controls, rather than add to the system a preamp. (Did I just describe as "simple" an expensive digital front end that, together with the dCS Network Bridge, Scarlatti clock, and Paganini transport comprises up to four components, all connected by a maze of cables?) 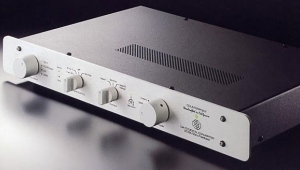 The conundrum was easily solved: John suggested that I borrow Lamm Industries' L2.1 Reference preamplifier ($22,790), which he described as "excellent," and which Art Dudley favorably reviewed in the July 2017 issue. Second, I was not totally blown away by the sound of digital recordings through this room's $649,440 system. While there was much in the system to admire, as I said in my report on this room, this rig "rounded the leading edges of tones," and I questioned "Whether it did full justice to the lower voices and wealth of detail in two of John Atkinson's superb choral recordings." As someone who prefers to review products whose sound attracts me in the first place, I was a bit uneasy as I committed to reviewing the Formula xHD. Then again, I'd heard it in a system comprising multiple components whose sound was unknown to mewho knew what was responsible for what? A relatively new company, Aqua Acoustic Quality, aka Aqua Acoustic Quality, was founded in Milan, Italy, in 2010 by product designer and CEO Cristian Anelli. 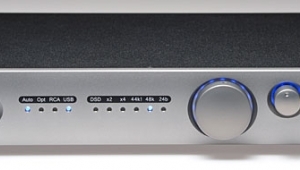 AAQ released its original Formula DAC in 2016, a year after the company entered the US market, and introduced its successor, the Formula xHD Optologic ($17,000), last fall at the 2017 Rocky Mountain Audio Fest. The Formula xHD has no chips or digital filters. Its fully decoupled, non-oversampling, 24-bit, four-branch resistor-to-resistor (R2R) ladder conversion technology is based on field-programmable gate arrays (FPGAs). Each channel's R2R ladder network is galvanically and magnetically isolated from the FPGAs and connected by way of opto-couplers, or light couplers, hence this system's name: Optologic. AAQ's website claims that its Optologic system "creates complete isolation of all digital circuitryincluding the clockfrom the analogue section, for a clean, noiseless ground plane. It also plays the main role in the differential management of the R2R ladders, achieving perfect symmetry between the counter-phase halves." 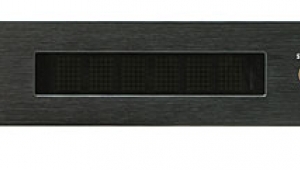 Boasting "Proprietary hybrid 2-stage XMOS xCore XE216 + FPGA," the Formula xHD's Isolated Synchronous Discrete Circuit (ISDC) handles digital decoding and clock management. The analog and digital power supplies use MOSFETs, J-FETs, BJTs, and ultrafast diodes. Capacitor choices are a mix of electrolytics, tantalums, and other types. The signal path is direct-coupled and free of capacitors. The Formula xHD's two output stagesone single-ended, one transformer-coupled and balanceduse discrete BJTs and J-FETs alongside metal-film resistors. 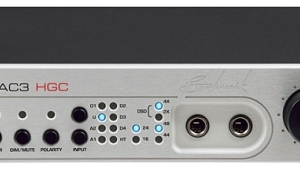 For owners of AAQ's La Diva CD transport (or, presumably, other transports with an I2S interface), the Formula xHD includes an RJ45 AQlink (I2S serial bus) that decodes PCM up to 24-bit/768kHz and DSD up to 256Fs via DoP, as does its USB Type B port. 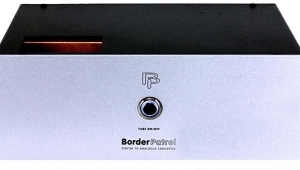 BNC, RCA, and AES/EBU digital inputs handle PCM up to 24/192. An optional AT&T (ST fiber) input tops out at PCM 24/192, and an optional optical/TosLink input tops out at PCM 24/96. The Formula xHD's modular, multi-circuit-board design should permit easy upgrading as new improvements are developed. On the left of the front panel are three toggle switches: Power on/off, Mute, and Phase 180; on the right are six more toggles, one for each of the six digital inputs, labeled I through VI, with a green LED above each. Eight more LEDs at front center indicate the sample rates: 44.1, 88.2, 176.4, 352.8kHz, and 48, 96, 192, and 384kHz. In other words, the front panel is quite busy, and not destined to win design awards. On the rear panel are pairs of balanced (XLR) and single-ended (RCA) analog outputs; the digital inputs are AQlink I2S, USB-B, Modular (Ethernet), RCA, BNC, and AES/EBU; there are also a Remote jack and an IEC power inlet. AT&T and optical TosLink inputs are optional. 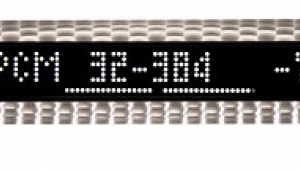 The digital inputs are numbered IVI, corresponding to the numbered LEDs on the front. You just have to remember which is which. The remote control, which is the same as the one provided with AAQ's La Diva transport, can also be used to select inputs and invert polarity on the Formula xHD. I doubt the remote's design was responsible for my inability to figure out how to use it to switch inputs. Mark Sossa, of Aqua Acoustic Quality' US distributor, Well Pleased A|V, sent me the very same unit JA and I had heard at CES. Even before installing the Formula xHD, I connected the dCS Rossini DAC to the two-piece Lamm L2.1 Reference preamp, and spent a while evaluating the Lamm's sound. It took me not very long to confirm that it was extremely transparent and open on top, and fully capable of transmitting deep bass, while adding an extra touch of warmth and midrange generosity. While the Lamm 2.1 did beef up the upper lows and lower mids, the extra weight felt natural rather than bloated. My goal was to use the best source components at my disposal to send the Formula xHD music from discs, files, and Tidal. I first hooked up the dCS Paganini transport via BNC, and dCS's Network Bridge network player via Ethernet. The Formula xHD's unbalanced outputs were connected to the Lamm preamp and it sat on a Grand Prix Formula Platformthese help my system achieve utmost transparencywhich I in turn placed on a shelf of my Grand Prix Monaco equipment rack. Sossa assured me that the review sample had already seen 300 hours of use, which AAQ considers sufficient. He also said that some users have claimed that the Formula xHD needs 500 hours of break-in before it can fully strut its stuff. After playing Nordost break-in tones through the system for 24 hours, to ensure that the cables were settled in, I began listening. What possessed me to begin with Michael Tilson Thomas and the San Francisco Symphony's download-only recording of Berg's Three Pieces for Orchestra (24/192 FLAC, SFS Media/HDtracks), whose disturbing atonalities seem to presage WWI, I don't know. But detailed listens to it and other pieces over the next two days through dCS's Network Bridge and Paganini transport convinced me that while the Aqua Formula xHD fully conveyed the emotion of music, the highs were subdued and the color palette limited. In fact, the sound reminded me of what I'd heard in the AAQ-Lamm-Kharma room at CES 2018. ... "questionable aspects of the Aqua Formula xHD's measured performance"? With a price of $17K, it can't be the result of cost cutting. So, do we then conclude that the (substandard) performance as measured is as the designer intended? 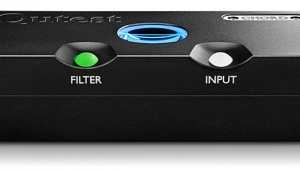 This DAC is designed w/o a digital filter. So the answer to your question is "yes" the measured performance is likely as the designer intended. These are typical measurements for a DAC lacking a digital filter. 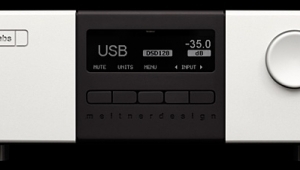 You will have to decide for yourself whether or not the design sounds better than a DAC with a filter. The Aqua gets an extra star, simply for not having MQA. I am posting this from a funeral home because I died of boredom trying to read this review. It's like reading a mystery story and at the end, a key component of the mystery is still a mystery. It would be good to know if that smoothing or whatever it is is due to lacking the filter. For example, if the possibility exists to sound as good as a much more expensive unit just by adding a digital filter, it might be worth asking the question. 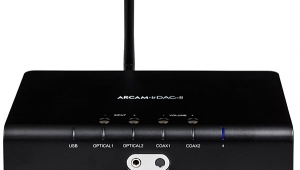 John Darko reviewed and loves this DAC. 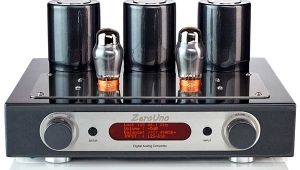 Could Stereophile have gotten a faulty unit? 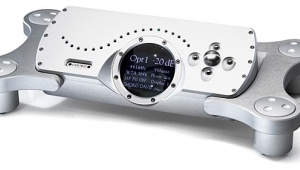 I have only reviewed the original La Scala and La Scala Optologic DAC from Aqua. Oh - and the La Voce S2. But never the Formula. Jason writes in his review that he had to "break in" the system for 24 hours to ensure that the cables were "settled in" before he began his listening test. What is the scientific basis for this? What engineering school can I go to to learn about this? Again, these are not consumer oriented web sites nor is the subject about performance at audio frequencies. I would note that in many ways, the problem is potentially as severe at audio frequencies as at microwaves, albeit the details are different. The frequency range considered to be "audio" spans 10 octaves, if I did the counting on my fingers right. Within that band, there's a zillion tones that are continually being modulated. Microwave systems don't cover nearly that range. The required signal to noise/distortion ratio for higher quality audio is pretty high, at least compared to most microwave systems commonly used. So, for a specific example, moving cables often generate triboelectric originated noise, which can degrade an audio signal. If the cables are mechanically stressed, they very well might move as the result of loud audio moving the cables one way or another. The way a lot of people set up their subwoofers to be thumping loud comes to mind. Movement as the result of loud bass notes would give a modulated noise floor that's kind of in synchrony with the music. In addition, audio frequencies are not just audio frequencies nowadays. Just look at figure 2 of the Measurements section for this DAC. Typical audio systems also carry artifacts from digital audio processing way above the audio band, as well as junk from other electronic gadgets attached to the AC mains or that just might be located nearby. These can and often will generate intermodulation and noise products within the audible range. At low frequencies, shielding is of limited help. (Too long to explain - try Googling "Ott noise cable shielding") So, you have to rely on the cable design to reject the junk as best you can. (Again, Ott...) You can often reduce the effects of this stuff by using proper audio transformers in the system components as well as truly balanced interconnects. These all have their pluses and minuses and don't come for free. I can't say that Jason's situation or his cables require 24 hours to resolve. No idea. And, it *could* entirely be in his imagination. But, there is scientific basis for the possibility. when Keith O. Johnson visited my home in Oakland years ago, he mentioned that when you twist cables with teflon shielding, which is the shielding that Nordost uses, microscopic cracks appear that take 24 hours or so for recovery. For me, that helped explain what I had already heard. Keith O. Johnson is an engineer, so he has standing to comment. I would agree with him that microscopic cracks can occur in the copper conductors However, the failure modality induced by such cracks would be of the on-off variety (i.e., cable failure would cut the connection, causing a drop out). At baseband, microscopic cracks will not cause any frequency-related changes in sound (i.e., loss of certain frequencies) so what you're hearing/not hearing is indeed in your head (confirmation bias). As for any cracks repairing themselves in 24 hours, that's a new one on me, though I'm an EE, not a materials scientist. I should add that, while I think Jason seems to be a very nice guy, my original comment was not meant literally. It was an expression of exasperation at the nonsense that passes for technical reviews on the current lot of audio websites. As an engineer, I'm embarrassed to see such audiophilic nonsense. (I think the root cause is that the non-engineers who write this stuff don't know what they don't know. That shouldn't be an excuse, just the same as ignorance of the law is no defense.) I've been into audio for 50 years, so that's why I continue to follow Stereophile, but, honestly, there's not going to be a future generation of audiophile. It's become all about the bling. You write: "At baseband, microscopic cracks will not cause any frequency-related changes in sound (i.e., loss of certain frequencies) so what you're hearing/not hearing is indeed in your head (confirmation bias)." That is not correct. What I'm hearing is what I'm hearing. What you are thinking seems to be that since you have no explanation for what I am hearing, I cannot be hearing it. These are different things. If a tree falls in the forest, and no one is there to hear it fall, did it make a sound? You also write, "I think the root cause is that the non-engineers who write this stuff don't know what they don't know." That is an unfounded presumption. Speaking only for myself, I think a more accurate statement might be that at least some non-engineers who write equipment reviews, and who have the love of music, listening skills, and reference system that enable them to hear differences both great and small, talk about what they do know, which is what they hear. I thank you for sharing your passion. Jason S wrote: "That is not correct. What I'm hearing is what I'm hearing. What you are thinking seems to be that since you have no explanation for what I am hearing, I cannot be hearing it. These are different things." Jason, unfortunately that response doesn't accurately characterize the argument given by teched58. He wasn't simply saying "I have no explanation for what you are hearing." He was pointing out that the claim about microscopic cracks changing the sound in the way you describe is an explanation that doesn't make technical sense. It's a bad explanation. And then he DID offer an alternative explanation: You were imagining the differences - confirmation bias - a phenomenon with far more experimental confirmation and documentation than the "micro cracks" hypothesis you provided. So your reply gives the appearance of just blowing off his arguments without really engaging them. It seems a constant theme in the subjectivist reviewing literature is to essentially ignore or downplay the significance of bias and human imagination in what we perceive and believe. If you just do even a quick survey of the incredible things people believe - from psychics, to New Age therapies, Alien abductions, to faith healing, to ghosts, to completely unfounded ideas on fringe medical therapies, and on and on.... it's utterly staggering in scope and variety. And much of it derives from what people *think* they have experienced or perceived. And then there are the large lists of well documented, experimentally verified realms of human biases that are such a strong problem the very scientific method itself requires they are taken in to account. Given this, it has to be reasonable to question: Do you truly think you could not be mistaken in what you think you heard? Because your reply essentially relies on not questioning your belief: "What I'm hearing is what I'm hearing" seems stated as if it ought to be accepted on it's face as a given fact. When that is actually a claim - that there were in fact audible differences - one could have very reasonable doubts about. An explanation for "what you were hearing" could be that you imagined it, misperceived it. Of course this opens up a can of worms for subjective reviewing in general. It's sort of like the Church pastor's dilemma; if one can't speak with a certain level of certainty, then it's hard to preach anyone should believe it or jump on board, so the role of bias and imagination are pushed in to the background as concerns. Publications like Stereophile (and I'm a long time reader and fan!) would have some trouble justifying the reviewing style, if, in a more scientific-style, concerns about the pollution of imagination and bias were kept more fully in view. I can certainly understand J. G. Holt's despair over the non-scientific nature of many high end audio claims and reviewing methods. Though I really appreciate that, at least when it comes to speakers, John Atkinson attempts to correlate measurements to their audible effects. Which makes sense as even the most "objectivist" viewpoint acknowledges that pretty indisputable cases have been made for establishing why speakers can sound different from one another. But it is telling that this correlation seems to fall off the more the item in question enters the "controversial" zone of claims. 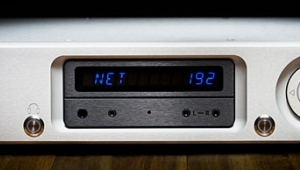 For instance, in DAC/CD player reviews, there is much less attempt in the measurements section to correlate the measurements with the perceptions of the reviewer. Mostly, the technical performance is simply described and IF there is an anomaly in the measurements that could be audible, John flags that. But otherwise, the correlation of measurements to reviewers claims of "smoothness, transparency, vitality, lushness, bass depth, tightness" and many other descriptors is mostly left vacant. And when it comes to cable reviews, as far as I've seen measurements are simply abandoned. This trend has always seemed pretty telling, in terms of the effort to provide substantiation for the effects the reviewers are describing. Anyway...just to be clear: I still find Stereophile a fun read and have enjoyed it for years, and I understand that there are certain impracticalities involved in trying to make everything scientifically rigorous. And hey, to some extent, maybe that could even make Stereophile a duller read. But at the same time it seems to me that we should be able to honestly acknowledge the Elephant In The Room when it comes to subjective reviewing (imagination, bias, often enough accepting technical claims on quite flimsy methods of inference, etc). Rather than to pretend it doesn't exist, as if the audio industry and reviewing is somehow magically immune to everything we know about the foibles of human perception. Finally: Though I may be taking a bit of issue with this particular reply of yours, Jason, and using it to voice some general concerns, I also have to say I really enjoy your writing and especially your Show Reports! You are never afraid to call it as you hear it. If you hear something you didn't like, we know it, and I appreciate it. "Seeing is believing", not "Seeing is truth". I think the subjective experience of what we see also applies to what we hear, smell, taste and feel. ..is always current science; not to be confused with “technology” which is loosely based on theory as well as in practical success. Modern chemistry for example had already been established well before basic atomic structure had even been outlined let alone confirmed. "Science" should also not be confused with scientism; nor perception with "subjectivism" for that matter. How do you think we moved from "alchemy" to modern chemistry? (Hint: an ever more rigorous, scientific approach). Science should also not be confused with scientism.. In my experience, it's typically people who apply the term "scientism" who are confusing things (and often using it to attack strawmen). Case in point: insofar as "scientism" would be a critique, how does that term apply to what I wrote? ...I may certainly be confused! It's just that I have so often seen the term "scientism" raised in the way I interpreted it. Did I misinterpret your initial reply to me somehow, and if so could you clarify? ..nothing more than what I’ve already wrote – and certainly nothing personal whatsoever. "He was pointing out that the claim about microscopic cracks changing the sound in the way you describe is an explanation that doesn't make technical sense. It's a bad explanation. And then he DID offer an alternative explanation: You were imagining the differences - confirmation bias - a phenomenon with far more experimental confirmation and documentation than the "micro cracks" hypothesis you provided. So your reply gives the appearance of just blowing off his arguments without really engaging them." Pure imagination is not really an alternate explanation, unless it were imagined once and not repeated after, say, a cup of coffee or glass of wine. A better alternate explanation would be something like "In a system of that complexity, it could be a lot of things." Sure it is, in the form of expectation bias (and other forms of fallible inferences). Why do you think medical studies are so often done with placebos and control groups? It's to help rule out the always present alternative explanation of human imagination/bias/misattribution. unless it were imagined once and not repeated after, say, a cup of coffee or glass of wine. That's not really how human bias works, at least the type that could be in play here. Some biases can change based on imbibing the drinks you mention, others can easily run through all those situations. We are talking about specific types of perceptual inferences - e.g. that there's a difference between A or B, or that a cable changed it's sound due to being moved or whatever. I've never, ever seen any study support the idea that, for instance, people become immune to expectation bias (e.g. expecting a more expensive cable to sound better) by drinking coffee or spirits. A better alternate explanation would be something like "In a system of that complexity, it could be a lot of things." I agree that we shouldn't restrict the explanation ONLY to one or two possibilities. However, that's different from saying that pointing to perceptual biases as a possible explanation isn't really an alternative explanation. It's actually a very well-supported, and hence very plausible explanation, and if one's method doesn't account for this, it seems to me we should scale our confidence accordingly. As for other explanations: sure someone can propose some other explanations - e.g. some other technical claim that would account for Jason hearing the difference. But then we'd ask: Ok, is that a sound explanation? What's the technical basis or evidence in it's favour? Because if it's just another speculation without much behind it, then the alternative explanation appealing to human bias is still the front-runner, as we have so much evidence for these effects. Medical studies are rigidly controlled, and you cannot just stop drug A in the middle of a test to see what drug B would do, unless so ordered by the test administrator. On the other hand, an experienced reviewer already knows where his expectation biases etc. are, and he knows how to get around them. Forgive me for a possibly weird analogy, but there are philosophical arguments about whether true altruism is possible, or at some level we always do what benefits us even if we're not specifically aware of it. But it is possible to stop onesself in a moment and say "I'm going to make a conscious decision to do something I have absolutely no motivation to do, if for no other reason than to prove to myself by experiment that it's feasible to do." And so the experienced reviewer creates tests that are specifically designed to filter out biases. We could suggest that so-and-so doesn't, or isn't capable of it or practiced at it, but it's better addressed with a question than with an either-or assertion. If you actually thinks this applies to subjective audio reviewing, then you do not seem acquainted with how bias actually works. Because that just doesn't fly. You can't just sort of "power through" some of the well known biases. Do you think doctors who design medical studies - fully aware of the biases they are controlling for - would absolve themselves from the experimental controls if THEY were subjects in a study? Like "don't bother putting me in a study with placebos or blinding or control groups, I know how bias works so I won't be affected." Of course not. As Feynman famously said: The first principle is that you must not fool yourself – and you are the easiest person to fool. We are all susceptible, no matter how confident or clever we think we are. As someone who believes in the usefulness of blind testing (when practical/applicable) I feel very cognizant of my biases. Yet some blind testing of some of my own equipment showed how easily susceptible I have been to fooling myself. And so the experienced reviewer creates tests that are specifically designed to filter out biases. I certainly have not seen that in the subjective reviewing community for the most part, far from being designed to filter out biases, actually are designed to ensure they can easily come in to play, if not outright invite them to the party. There are rare exceptions, where a reviewer attempts to bring a bit more rigour to his review, such as Jim Austin's fairly recent Benchmark DAC3 stereophile review, in which he tried to control variables as much as possible in a head to head DAC switching scheme - and at that point found no sonic difference! (Though it still wasn't a blind listener test as I understand it, so it leaves that variable on the table). I won't argue that you can "power through" every bias, since we all have to breathe and eat, and remember to lock our doors. But testing past a simple confirmation bias is infinitely easier than trying to get control of autonomic body processes so we can fool a drug etc. You keep saying this, but....how? Confirmation (and other biases) are not simply at work on some autonomic level...whatever that even means. First, biases run through almost every one of our endevourrs - it can be found in racism, religion, bad science, psuedo science, astrology, which arguments we believe, what products we buy...you name it. Placebos are used, even in medical trials, to wee out the variable of our MENTAL bias effects. That is the way our perception can change when we think we are doing something different. You could look at a group taking a new medication, and look at another similar group placed in a similar condition as a control group, and then you've controlled some of the variables. But what the placebo does is controle for the additional variable of TAKING a purported medicine, or simply adding "taking a pill" to someone's routine. JUST the fact of taking a pill (or similar) is known to influence people's reactions in of itself. It's a psychological variable that has consequences on perception and experience ; it's not merely autonomic. But, again, various biases are at play in practically any instance of human perception or inference from our experience. If as you keep saying it's "easy" to "test past" confirmation bias - and the subject here is obviously audio reviewing - can you please give an example of what you mean? I have lots of biases, and I'm perfectly capable of acting outside of every one of them when called to do so. Unless of course doing so threatens my well-being. It's not even that difficult. All you have to do is make a list and then develop the bypasses as needed. I don't necessarily try to work around my biases when just enjoying music, although in some cases if I'm curious about this or that, I will as an experiment. But when testing gear or music, it's too easy to get past biases by use of volume controls, EQs and other filters, or even haranguing the occasional friend and neighbor for their opinion. So let's say that I find a particular recording on a particular system to be too edgy on certain instruments - maybe a piano sounds too glassy. My instinct says it's a combination of things, probably a slight emphasis in the upper mids, possibly a surface reflection (speakers, windows), the recording itself, maybe even dirty contacts somewhere. If I really wanted to blame a particular component, I could make excuses along that line and that would be acting on a bias, intentionally or subconsciously. If I strongly suspected a window reflection in the past, but didn't take action because it didn't happen with other music, then I could blame the problem on the window out of laziness, not wanting to take the time to validate it. But if I have a new component at hand and I hear something that doesn't seem right, it's not just the irritation however minor that makes me want to investigate - it's curiosity too. There's a practical aspect to human nature that involves work effort and available time that can bias a person toward taking shortcuts and making excuses, but if you're reporting to the public, you have to be pretty careful you don't get caught, especially if it's more than once. Subjects like racism, religion, and dubious science certainly involve biases when people are operating in their normal comfort zones, but I can tell you without doubt that regardless of my biases, I'm capable of thinking and speaking outside of those biases when necessary. I call it the "atoms and molecules" approach to thinking - instead of making assumptions up front, begin the process at the most basic level possible and examine everything. That might seem very time-consuming, but it's a learned process, and with practice it can usually be kept within reasonable limits, at least to establish facts and rules at a given level of inquiry. I'd ask for some clarification...that seems pretty garbled in it's meaning....but I guess as per the last time, I shouldn't expect any. 4. Those who are not understood because they do not write either clearly or coherently. Yet think they are profound when not understood. First, think logically for just a minute. Whatever cable Jason may be using uses Teflon as an insulator, with some metal (probably) probably as the conductor. So, any cracks or other flaws in the Teflon would have no sudden on-off effect on the signal, unless there was somehow a shorting situation in the insulation. Any cracks - if that is the underlying condition - would only change the dielectric characteristics of the cable. So, it seems that physically moving or bending cables made with Teflon insulation (and others) can cause a charge effect inside that cable that could last for a time until it discharges. How that affects perceived audio performance probably depends on the system in which it's used - there's a lot of variables just in that alone. I seem to remember there was a suggestion that maybe the teflon was the source of the anomaly, not that a measurement pointed specifically to the teflon covering. Unless I'm mistaken, the teflon was suggested as a possible cause, and bias was suggested as the only alternative. On the coherence time of saxophone sound, I might miss it and the next guy pick up on it - who knows? There was a review here a couple of years ago where someone mentioned that a particular tweeter could resolve a faint high-hat cymbal sound in a track (possibly Luminol by Steven Wilson), and while I had a few of the best headphones lying around and obtained a CD and high-res download of that track, I couldn't hear the high-hat even with the volume turned up where a 16 khz tone hurt my ears. I dunno - maybe my copies were bad or the wrong master, or I just couldn't hear what the reviewer heard, but I still don't doubt that it exists and the reviewer heard it. It would be interesting to resolve that issue as much as the teflon issue, so who knows? Maybe someone familiar with that cable could weigh in. I cannot speak to whatever Keith Johnson may have said. Nor, can I speak to whatever Jason may or may not be hearing. However, as a physicist slash electrical engineer - I don't know if that gives me standing or not - I'm always embarrassed when engineers insist on taking the short cut of relying on simple approximations that are used to make engineering calculations and analysis simple. Engineering approximations work for a lot of things, but they are not the complete and entire story. This is not only true with regard to the actual physics of the situation (which, in the end, may turn out to be such a low order effect that it practically doesn't matter - or maybe not) but especially with regard to the perception of sound by human listeners. Simple linear amplitude response may not be affected by cable changes as measured by a network analyzer or similar device. But, as an example, if there are non-linearities in the cable and system, a change in the characteristics might cause a resulting change in the spectrum of the distortion products. This could easily be perceived as a frequency related change in sound. They can also be measured, although it takes a certain amount of resources and desire to do so. My own personal opinion is that if there turns out to be no future generation of audiophiles, it would be because of two main things. One is that modern music - whatever that may be for potential future listeners - is not recorded or engineered in a way that lends itself to where high fidelity playback adds anything to the experience. The other is that high fidelity playback really by nature is a focused activity. To make it worthwhile to pursue, you have to be able and willing to sit down and listen to music for more than a few minutes, and not as just a catchy background beat to whatever else you might be doing. That's not the current trend. Finally, no, I'm not connected with the cable industry (except as an occasional customer) nor with Stereophile (except as an occasional customer). "....modern music - whatever that may be for potential future listeners - is not recorded or engineered in a way that lends itself to where high fidelity playback adds anything to the experience." Are you thinking of popular music, or does that include jazz and classical? "....high fidelity playback really by nature is a focused activity. To make it worthwhile to pursue, you have to be able and willing to sit down and listen to music for more than a few minutes, and not as just a catchy background beat to whatever else you might be doing." Seems to me it's always been that way, and audiophiles as I know them were always the curious types who poked their fingers into things that others would not bother with. I can't speak about large systems with speakers since I've been out of that for years, but if you look around on some of the portable audio and headphones forums, you'll encounter lots and lots of audiophiles who are very picky about sound. tech58: Do you have a name ? Firstly, identify yourself. You know, you so-called "engineers" are a typical bunch (much like today's physician's) that somehow feel your education gives you some type of "advanced" understanding. It's actually, quite laughable -the attitude, arrogance.
" ... As an engineer, I'm embarrassed to see such audiophilic nonsense. (I think the root cause is that the non-engineers who write this stuff don't know what they don't know"
It's you dufus's that don't know what you should. Have you (and your types) ever thought, considered, and asked yourself: "Damn, what am I missing, what coud acount for such 'characteristics/ qualities/observations?" Please understand (and learn) that the finest minds in the world, as much as their impressive credentials entail, humbly acknowledge they need to learn/discover more. Far more. But not you, Mr. Engineer. Perhaps you should both identify yourself along with your credentials. When someone hides behind anonyimity, they can't be (shouldn't) be taken seriously. And so it stands here, your useless reply(s). I can't help but genuinely laugh at the sheer arrogance -verging on stupidity- when I hear/read this kind of thing. Such idiots (self-proclaimed Engineers) actually believe they "know". What you know is near squat, nada, nilch. What a joke. What a joker. Get a set of 'ears', leap off your High-Horse and perhaps investigate (find answers) to help explain such phenomenon. You know what you can do with your 'expectation bias' (and similar crap). Get to work and learn something. Hint: You may wish to consider and investigate Quantum Physics -it may hold the answers you desperately need to discover and then validate -for your own insecure reasons. P.S. Do you even own a hi-fi. Or listen to music?
" What engineering school can I go to to learn about this?" That would be a school you could never even enter -let alone graduate. However, fret not, there are many such schools that will gladly take you on -expecting nothing more than a sterile-minded chap that unconditionally professes (to his professor): "You are the best, so amazing, smart, handsome -and sensible. Until of course, these know-it-all's learn a thing (or one-hundred) by advancing (quantum physics/sciences) research that will re-write the 'textbook' on such matters. "What possessed me to begin with Michael Tilson Thomas and the San Francisco Symphony's download-only recording of Berg's Three Pieces for Orchestra (24/192 FLAC, SFS Media/HDtracks), whose disturbing atonalities seem to presage WWI, I don't know." I'd suggest it's because it's a fantastic recording. Adding to my comment above, this lecture on the Three Pieces illustrating the cross-pollination of influences between composers Berg, Schonberg, and Webern was a great find for me. There’s no physical account or acceptable measurement for the placebo effect – so according to diehard objectivists placebo should not exist by definition.. Remember that the placebo effect is a psychological phenomenon. While we may not understand the underlying neuropsychological mechanisms to provide direct objective measurements, the placebo effect can of course be demonstrated! In fact... Not hard to demonstrate time and again throughout the decades when we observe the differences in outcomes between "open-label" and "blind" research trials where expectation biases can play a role in the results. That effect is "measurable". Well, hearing itself is also a psychological phenomenon and therefore not prone to direct evaluation: you just have to trust what certain people say for reasons unknown. Even deaf people could actually participate in double blind tests with statistically interesting results provided the coordinator (who should not be allowed to know he’s dealing with deaf, that’s triple blind) is capable enough of manipulating all other significant parameters in order to prove what has already been decided. On the other hand placebo in medical experiments can really heal people from tangible ills – so it’s not purely psychological after all. Neither is merely the "label" thing that accounts for all placebo deviations; as written elsewhere: "listening exclusively to 'perfectly measuring' amplifiers etc is another form of placebo; just like a fussy patient who feels terribly sick till the doctor says the lab tests are 'perfectly fine', even if sometimes this isn’t exactly the actual case.."
Jason - I love your work and your style of writing. But there is a problem with this review. I own this DAC. I started my Aqua journey with a La Scala MKII, then a Formula, then the xHD. My kit is comprised of Nagra and Magico. I have been an audiophile for 30 years, 19 years with a consequent budget and a custom built room. And my ears are good. I do NOT recognize my DAC in your review. I take offense because I am also a business owner and I am very annoyed by the fact that some people might not buy this product from a very reputable company that is _universally_ praised because of a half-baked, botched review. Your CA test setup is mediocre. Inserting a Jitterbug is a mistake. The whole thing is wrong. You know what the worst part is? I will now doubt your reviews of all the products I don't know. 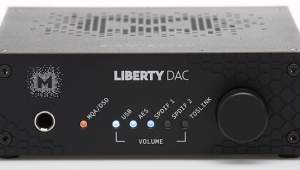 This DAC DESERVES a second review. Or you should request a second unit. 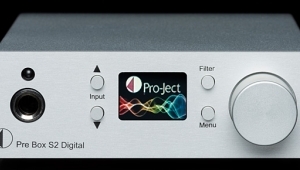 This DAC, sounds "right". It is dynamic, natural, image is huge in all directions. A true marvel. Go back to the drawing board. Show us you care about your work. I officially invite you to visit me in Montréal. Your airfare and hotel are on me. jracine: Your reply to Vicky (Victor) was most appropriate; indeed Vick's set-up (ancillary gear) far from ideal. Casting out such words/review should be an embarrassment to both schlock writer, editor/publisher. Perhaps unknowingly, but such "writing/reviewing" will be the (impending) demise of such publications based on (partly) the cavalier indifference of inadequate writer's. I was most pleased to read your passionate, sensible reply. Enjoy that beautifully engineered/built Aqua 'Formula' DAC ! Yes, those Jitterbugs are a ringer. Just read a pro review of some dac (as I recall) the other day where they found that there was an audible difference between using one and two, and the latter condition caused considerable diminution of sound quality in that set up. In my own desktop computer system, I couldn't tell the difference adding one in the empty port in a JCAT card, next to a TotalDac USB cable/filter. JVS, I don't disbelieve that the Jitterbug can help, depending on the system (and ears), but that you didn't take one or both out to test - or at least you didn't report doing so - is a substantial failure, something the editor should have caught too, as it raises a legitimate question about the quality of the review. Excellent product coverage as always- JVS. Hopefully, the price will trickle down to us common folk soon. If I oversampling the music in my computer from 44,1 KHz to 352 KHz before sending it to the DAC I can ear how the sound is best defined but at the same time with less "life". Is there any technical reason for it?